I had Caryn customize this to fit my MisFit Shine 2. It works great and is very pretty. This is a much easier way to wear my MisFit fitness tracker. Thank you! Wire Ghost Tutorial - For Spooky Halloween Decorations! Welcome! All my items are handmade, so please know that no two items are exactly alike. I will strive to post pictures of the exact item so you know what you are purchasing. Custom orders take up to 10 business days to complete. I guarantee my workmanship. If you are not satisfied with your purchase, you can return the unworn item within 10 days of receipt (from delivery confirmation notice) and I will refund the purchase price minus shipping. If the item breaks, please send it back to me: workmanship failures I will fix for free, other repairs can be performed for a modest fee. Lost items cannot be refunded. I currently accept credit card, debit card, and PayPal payments. I will begin your order as soon as payment is received. Please note that e-checks take at least a week to clear through Paypal, so please allow for this extra time. If ordering a custom item, note that production takes up to 10 business days to complete. Please add this time as well as the shipping time when you are estimating a delivery date. You can contact me BEFORE your order if you have a deadline so we can make sure the item will arrive on time. All items are shipped in their own Caryn's Creations box. Multiple items can be shipped in one box for the price of additional insurance. Please note that buyers are responsible for any and all duties and customs charges that may be incurred. Custom orders are welcome. I am happy to discuss specifications and provide a quote. Please allow 10 business days for most custom orders. All items are made in a smoke-free house hold. We do have cats, dogs, and kids, and although I clean each item before sending, please be aware if you have severe allergies. Items in this shop are not intended for children under 13 years of age. 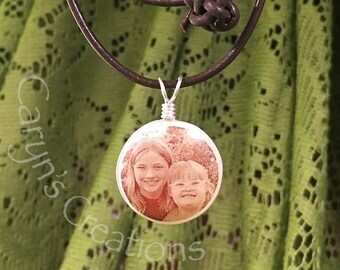 All designs and photographs are Copyright protected © 2016 by Caryn's Creations.